* What is an appropriate level of complexity for a written label? * Why do some choice in language make a more direct relation to visitors? * Is there a correct way of presenting a particular view of content? * How do design practices contribute to the overall meanings being made? The frameworks enhance the way we critically analyze and understand museums text, both in the sense of conventional – written texts in museums – and in an expanded sense of the museum as a whole operating as a communicative text. Using a wide range of examples Ravelli argues that communication contributes fundamentally to what a museum is, who it relates to and what it stands for. 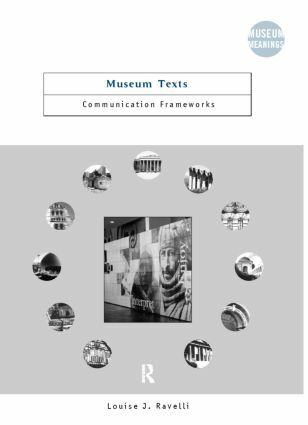 Not only museum studies and communications studies students, but also professionals in the field will find Museum Texts an indispensable guide on communication frameworks.